Purchase a series of posters featuring Pittsburgh places that have survived for many decades in a city that is constantly rebuilding itself. 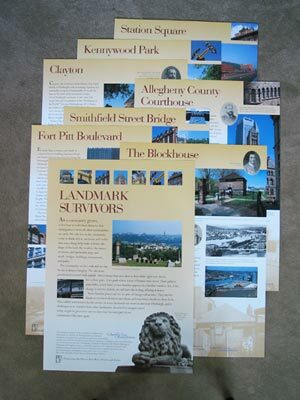 Landmark Survivors is appropriate for sixth- through twelfth-graders studying art, language arts or social studies. After viewing the posters, students are encouraged to create a poster featuring a landmark survivor in their neighborhood. A teacher’s guide is available also. Please request one if you are interested.